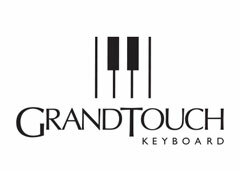 As the flagship model in the series, the CLP-685 boasts a GrandTouch Keyboard action that features the individual key counter weights found in a grand piano for unrivaled realism in the resistance and return of each key. 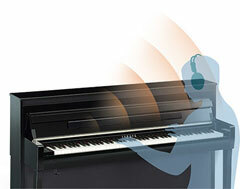 CFX and Bösendorfer samples absolutely sing through the powerful 300W sound system with Spruce Cone speakers. 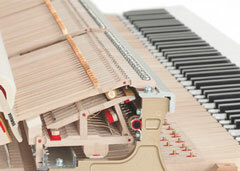 Spruce wood is used in the sound boards of Yamaha acoustic pianos because of its superior tone quality, and that same wood is used in the CLP-685 speaker cones. 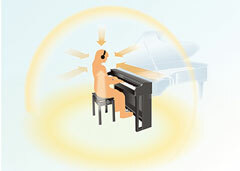 You will lose yourself in the sound of the binaurally-sampled CFX which is a totally immersive headphone experience. 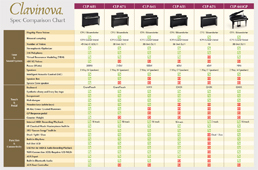 Selecting Voices and adjusting settings is easy using the intuitive user LCD interface. 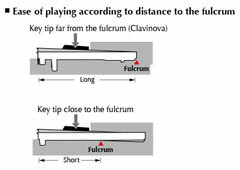 Counterweights are embedded in the keys of a grand piano to balance the weight of the hammers and offer more precise control when playing delicately at low volumes. 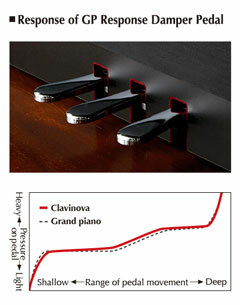 The Clavinova features carefully adjusted counterweights for improved playability when playing pianissimo with a light touch, and better key return in rapid passages. 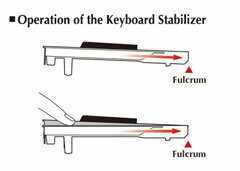 The keyboard has been fine-tuned to offer optimal balance, emphasizing its superb playability and grand piano response. 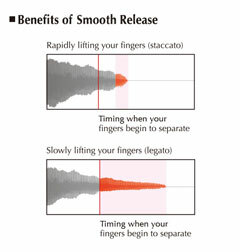 This improvement of the sound is something that has only been possible thanks to our thorough knowledge of the internal acoustic characteristics of musical instruments. New speaker innovations highlight a commitment to the environment. 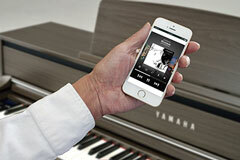 As part of our commitment to environmental responsibility, the speaker cones on Yamaha CVP-709 digital pianos are made from the leftover spruce wood that is used to build acoustic piano sound boards. 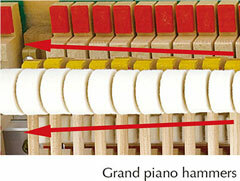 This helps to reduce wood waste, and also results in a more natural, piano-like sound. 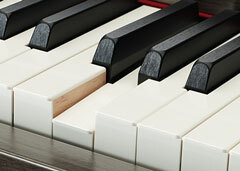 Learn more about our corporate social responsibility initiatives by visiting https://www.yamaha.com/en/csr/. 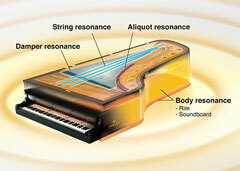 The Twisted Flare Port, a new Yamaha technology, offers a clearer bass sound. The flared and gently twisted shape evenly diffuses the air flow through the port. 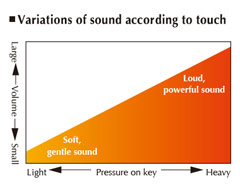 Compared to a conventional port, the Twisted Flare Port reduces air turbulence noise, contributing to clear and accurate low frequency reproduction.